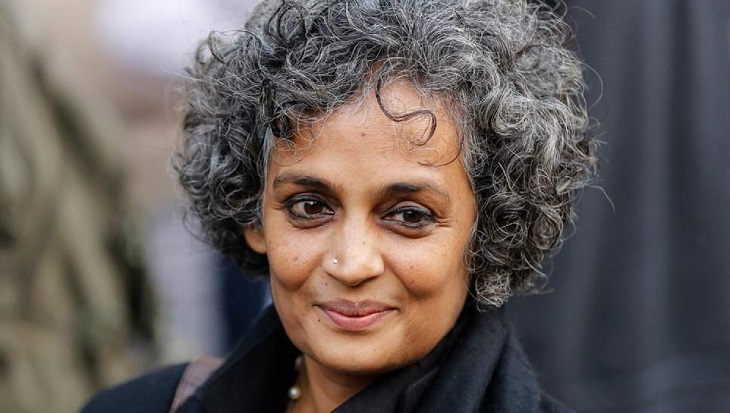 The talk between Indian author Arundhati Roy and acclaimed Bangladeshi photographer Shahidul Alam will now at a new venue after the permission for the pre-determined venue (Krishibid Institute) was withdrawn by DMP late last night, Chobi Mela authorities confirmed in a Facebook post. The program titled 'Utmost Everything - Arundhati Roy in conversation with Shahidul Alam' will now take place at the 10th floor of Midas Centre on Road 16 (New), (Old) road 27 in Dhanmondi. Chobi Mela had initially planned to arrange the programme at Krishibid Institute but police informed them that the permission was being withdrawn for "unavoidable circumstances". "The talk will go on and the previous registration holds," the organisers said in a statement. It will start at 6pm. Participants have been requested not to bring bags or "other large items" and informed that there will not be any question-answer session or opportunities to take selfies with the writer. There will be no live streaming of the programme either.